Score tickets for these awesome wintertime shows at concert venues across the District. Many of Washington, DC’s amazing music venues will welcome dozens of great artists from numerous genres to their stages throughout the winter. Check out what’s in store below and start planning your musical adventure in the nation’s capital. Panic! 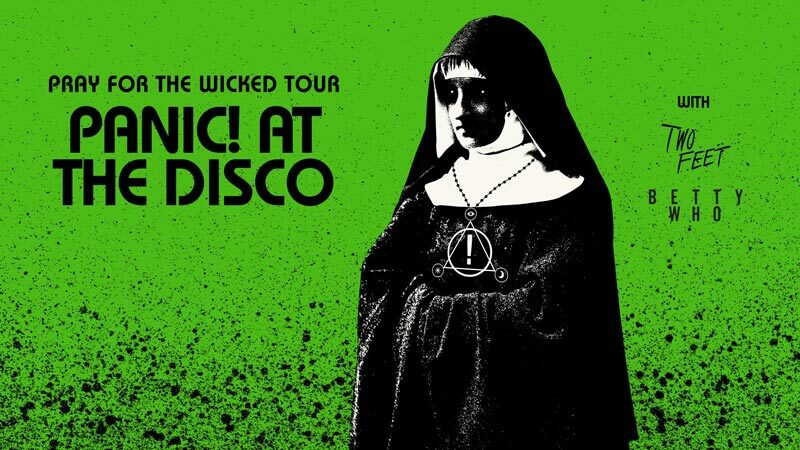 at the Disco is led by singer/songwriter Brendon Urie, who formed the band with childhood friends in Las Vegas in 2004. Urie is now the only official member of the band, which has been churning out hits since it rose to fame in 2005. 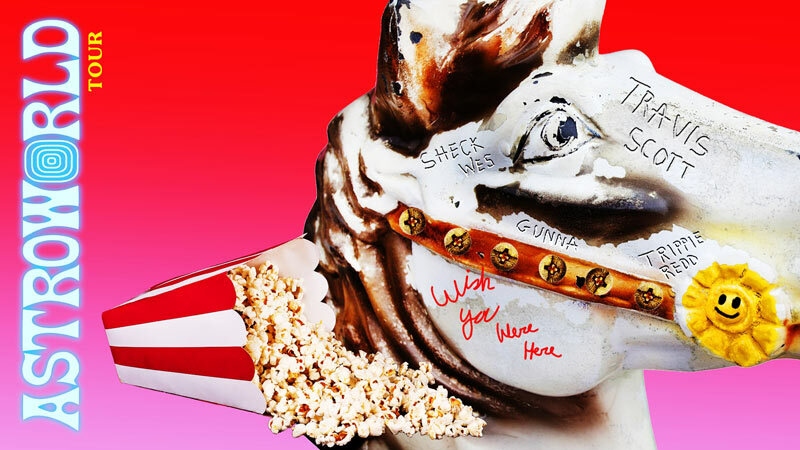 This year’s Pray for the Wicked is one of the project’s most successful releases yet, featuring the smash hit, “High Hopes”. Capital One Arena should be packed for this one. A$AP Rocky is one of the best rap artists of the decade, a performer who has garnered critical adulation while maintaining a loyal fan base. Whether it’s releasing his own albums, like this year’s acclaimed Testing, or guesting on another artist’s track, A$AP Rocky always leaves an impression. He’ll bring his lively stage show to the state-of-the-art The Anthem. Indie rock singer-songwriter Neko Case released one of her most acclaimed albums this year, Hell-On, and now brings her irresistible voice and songs to the stage of the Lincoln Theatre. Case’s solo career now stretches more than 20 years, and she is one of the founding members of The New Pornographers, one of the most critically adored rock groups of the same time period. Saturday night’s show sold out, so grab tickets to this Sunday night performance as soon as possible. Both as a member of the Baltimore, Md. 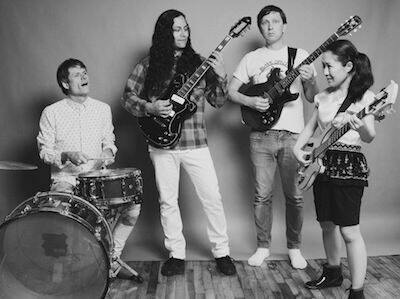 group Animal Collective and as a solo artist, Panda Bear (real name: Noah Lennox) is responsible for some of the most intriguing popular music of the past 20 years. Person Pitch, released in 2007, was one of the most acclaimed releases of that decade, and it continues to influence numerous artists to this day. Since then, Lennox has released the LPs Tomboy (2011) and Panda Bear Meets the Grim Reaper (2015), with the highly anticipated Buoys dropping on Feb. 8. 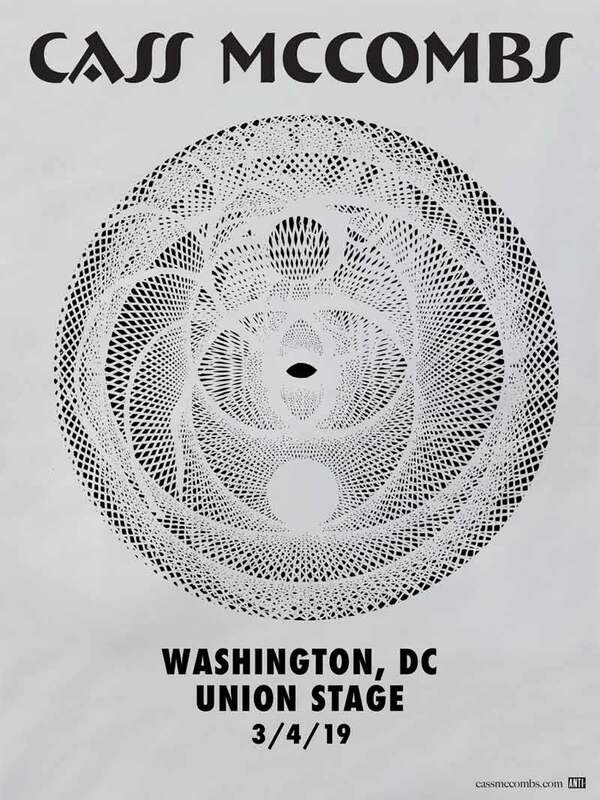 Expect dizzying soundscapes and moments of pure bliss at this 9:30 Club show. Spend Valentine’s Day at The Anthem with the world-trotting music of Beirut, a band responsible for one of the most unique sounds in indie rock. Led by Zachary Francis Condon, Beirut’s multicultural approach to pop has produced stunningly beautiful songs across four LPs, with a fifth due on Feb. 1. One listen to “Postcards from Italy” and we doubt you’ll be able to resist taking your boo to this performance. 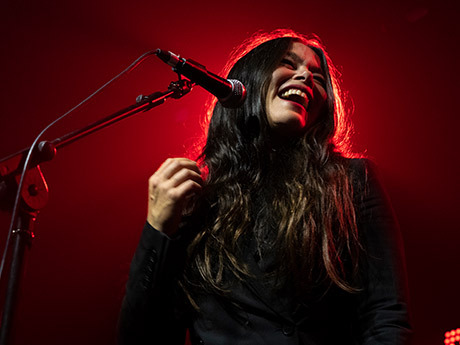 A native of nearby Arlington, Va., Rachael Yamagata has risen to national stardom through her beautiful singing and introspective songwriting, often displayed alongside her expert piano-playing. Yamagata has worked with Jason Mraz, Bright Eyes, Ryan Adams and Ray Lamontagne, building an impressive discography and credentials along the way. Don’t miss her at the state-of-the-art City Winery in Ivy City. Interpol rose to indie rock stardom in the early 2000s, forming the Joy Division wing of the post-punk revival that also included bands like The Strokes, Yeah Yeah Yeahs and Bloc Party. Their debut album, Turn On the Bright Lights, is a certified classic, and the group has only been building on the illustrious sound of that record ever since. The success of last year’s Marauder shows that Interpol still packs plenty of punch. Prepare for a riveting show at The Anthem. Union Stage, located at The Wharf, offers up an exciting bill that combines the experimental stylings of indie rock veterans Deerhoof, the irresistible pop-punk of rising stars Speedy Ortiz and the folk-punk energy of Pygmy Lush, who hail from nearby Sterling, Va. Brace yourself for a musical adventure that few other venues can offer you for just $15. One of the world’s most famous performers brings his unmistakable charisma and voice to the Capital One Arena for one night only. 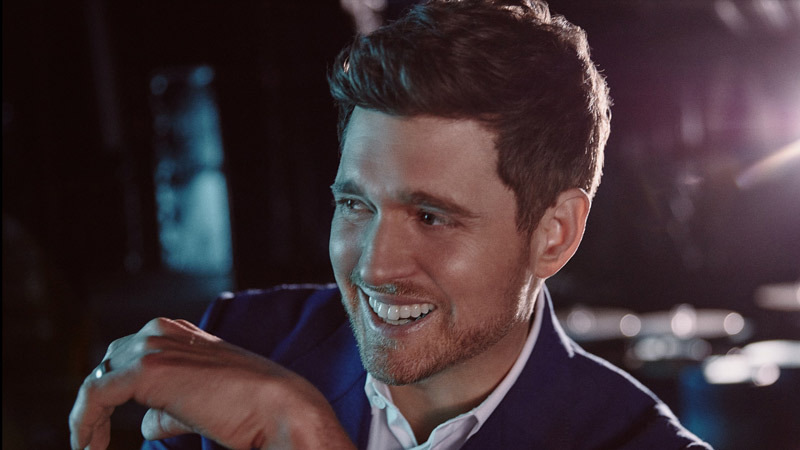 Michael Bublé has been a household name for over a decade, as the crooner’s take on blue-eyed soul and show tunes has resulted in more than 75 million records sold worldwide. With all that in mind, scoop your tickets to this one quickly. 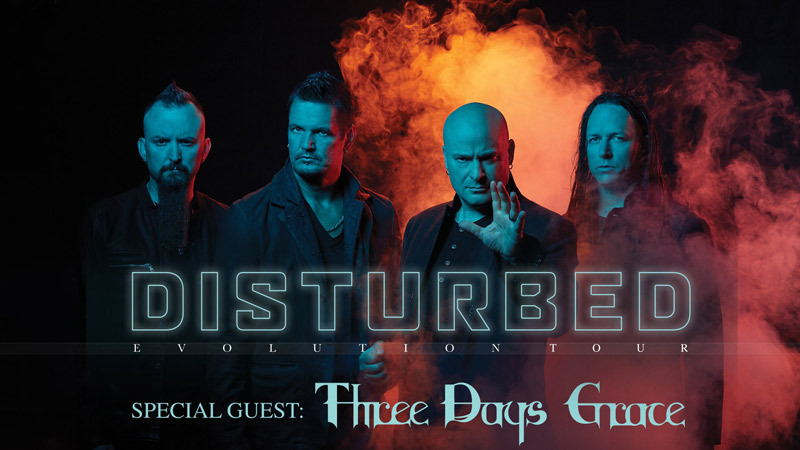 Disturbed are one of the few heavy metal bands to totally transcend the genre over the past two decades, releasing four straight albums that topped the Billboard charts during their most successful stretch. Of course, everyone knows “Down with the Sickness,” but the band’s catalogue is filled with hits, many of which you can hear during this concert at Capital One Arena. James Blake’s unique vocal style and experimental approach to pop music has garnered him critical acclaim and die-hard fans all over the world. Blake has collaborated with some of the most famous artists in the industry, from Beyonce to Frank Ocean to Kendrick Lamar. The Anthem is the perfect venue for his set of intimate bedroom pop. 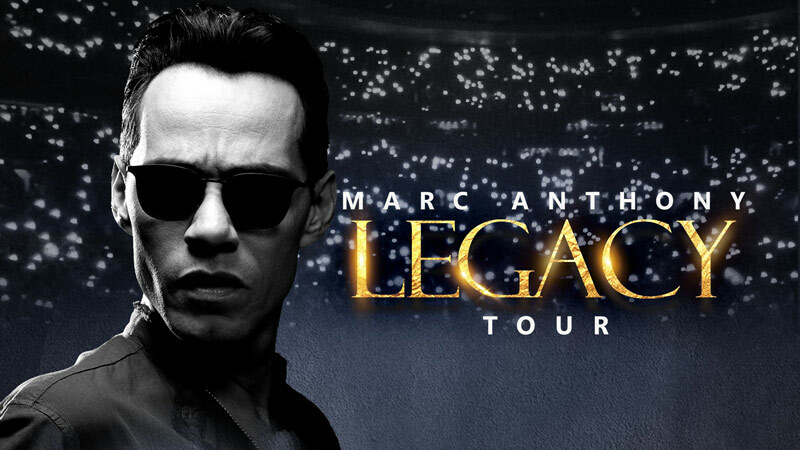 The top-selling tropical salsa artist of all-time takes on Capital One Arena in late February. Marc Anthony has been a smashing crossover success, conquering the pop charts while also acting and producing in films and television shows. The two-time Grammy Award winner certainly know how to put on a live show, so buckle up for an exciting evening. 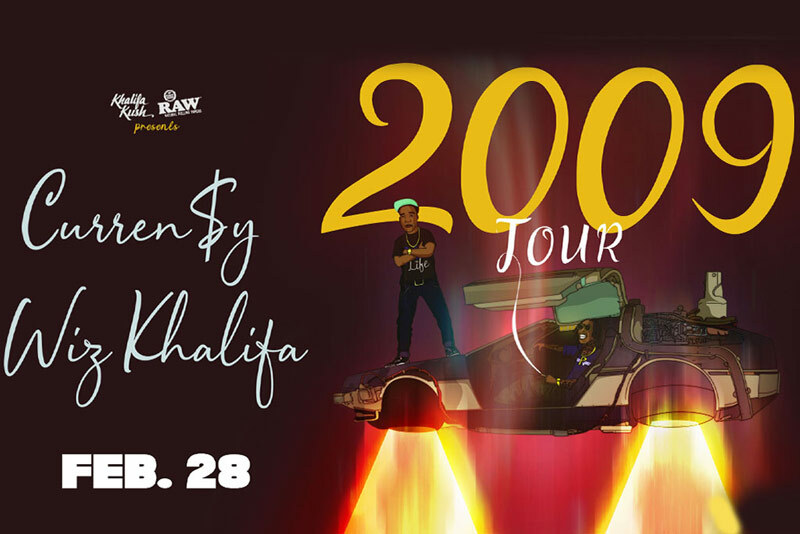 Two of the biggest stars in hip-hop join up at the Fillmore Silver Spring as they conquer the U.S. on their highly anticipated 2009 Tour. Each put out albums to much fanfare last year: Wiz Khalifa dropped Rolling Papers 2 last July, while Curren$y released Fetti with rapper Freddie Gibbs and producer The Alchemist. Make sure you’re there when they light up the stage on Feb. 28. Always challenging, always journeying out to the contours of pop, Deerhunter have been releasing albums of blissful complexity since 2005. The critical darlings step head-on into the cultural moment with Why Hasn’t Everything Already Disappeared?, their first new album in four years. 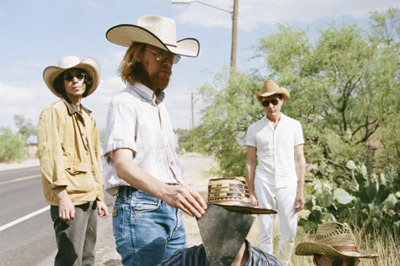 The group, led by eccentric singer/songwriter Bradford Cox, try new approaches to their instruments on the record, yet again creating something wholly original. Their concerts feature the same amount of creative energy and tension. Singer/songwriter Cass McCombs has cooked up a veritable stew of folk, rock, psychedelia, country and even tinges of hip-hop and soul across a career that spans almost two decades. The Californian does a masterful job of blending all of those styles in his concerts, a display you’ll have a chance to see at one of the city’s hottest new venues, Union Stage. Bursting into superstardom with the one-two punch of “Sailing” and “Arthur’s Theme” at the dawn of the 1980s, Christopher Cross became one of America’s signature soft rock acts. While subsequent releases saw Cross move away from the mainstream, he’s carved out a place in pop music, continuously touring and releasing albums. The beautiful and expansive City Winery will play host to Cross’ melodic stylings in early March. Break The (monotonous) Chain of winter and catch one of classic rock’s most famous bands at Capital One Arena. 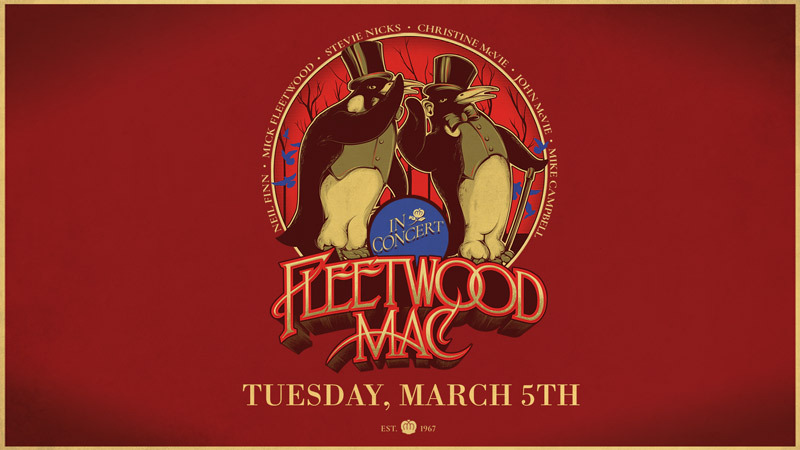 You’ve heard their irresistible tunes on the radio for years, now you can witness Stevie, Mick and Christine kick out the jams like it’s 1977 all over again. Purchase the tickets, and Don’t Stop thinking about March 5. 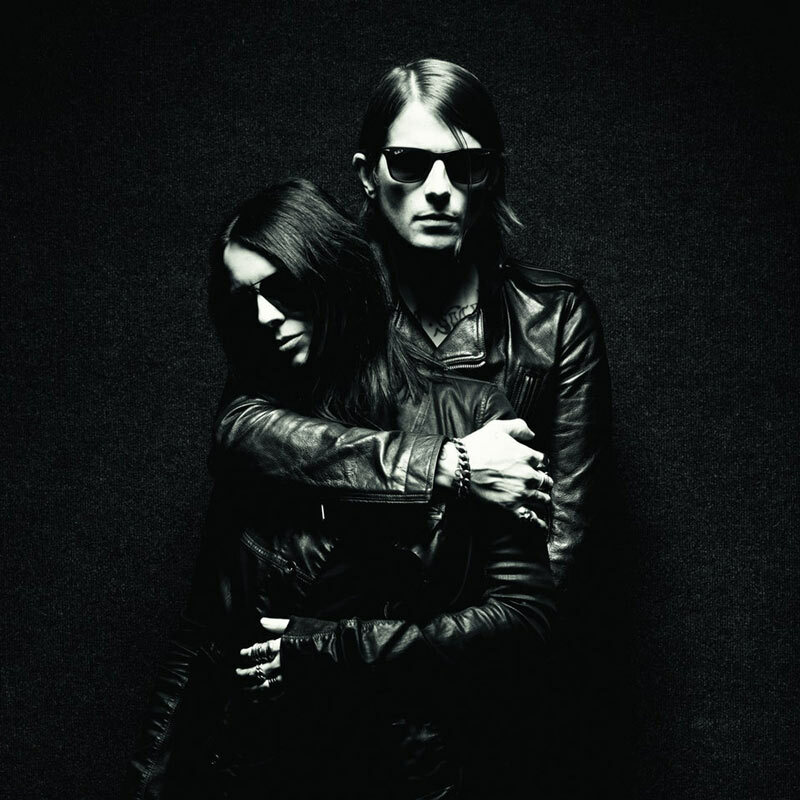 Cold Cave is the musical project of one Wesley Eisold, a punk rock veteran who drove several full-band projects before striking out on his own in 2007. The sound of Cold Cave brings to mind post-punk, new wave and synth-pop luminaries from the late 1970s and 1980s – think Joy Division, the Cure, Depeche Mode and New Order. Eisold released the EP You & Me & Infinity last year, another potent demonstration of his synthesized powers. Union Stage will host this performance that will have plenty of danceable moments. Capital One Arena welcomes one of rap music’s current champions in the form of Travis Scott, a 26-year old, Houston, Tx. native who has been living at the top of the charts since 2015’s Rodeo. Although Scott’s celebrity status has been shot into the stratosphere with his dating of Kylie Jenner, the rapper has skills through the roof. His most recent release, 2018’s Astroworld, has received rave reviews for its incredible versatility and Scott’s songwriting chops. Don’t miss him on DC’s biggest stage. Massive Attack is one of the most critically acclaimed British musical acts of the last 30 years, responsible for two of the most important albums of the 1990s: 1991’s Blue Lines and 1998’s Mezzanine. The latter will be the focus of this show at The Anthem, a celebration of the two decades worth of influence that the record has exercised on a host of rock and hip-hop practitioners. Elizabeth Fraser of Cocteau Twins and reggae star Horace Andy will join the group for what promises to be an immersive journey into the world of Massive Attack. The pride of Philadelphia makes his presence known in DC with this late-March show at The Anthem. Meek Mill is a man of the people, a self-made rap star whose battles in the courts have become legendary. All the while, he’s maintained a steady presence in the hip-hop world, releasing music, posting videos and remaining outspoken on the criminal justice system. Expect a legion of his fans and supporters at this one. Although she’s only been a pop music superstar for roughly four years (as opposed to zero days for most humans), Ariana Grande has been so prevalent on radios and televisions that it feels as if she’s been showing off her incredible voice and talent for decades. 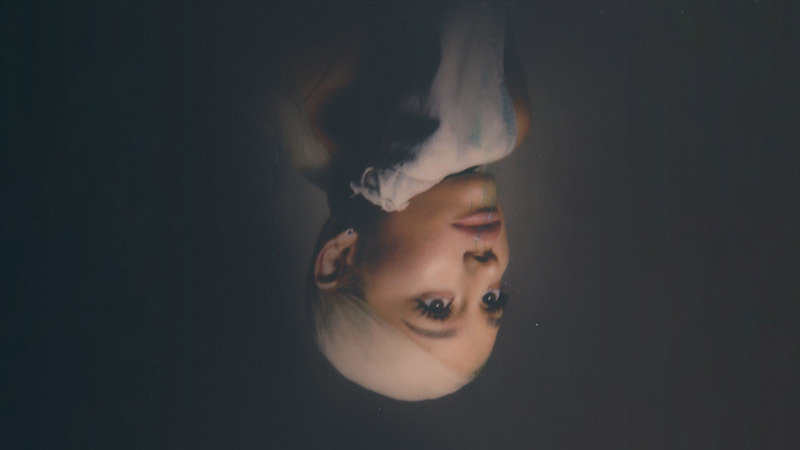 Her Sweetener world tour will hit DC’s Capital One Arena with a bang this March, and expect a stadium packed with adoring fans. Excitement will be at a fever pitch for this 25-year-old’s show. 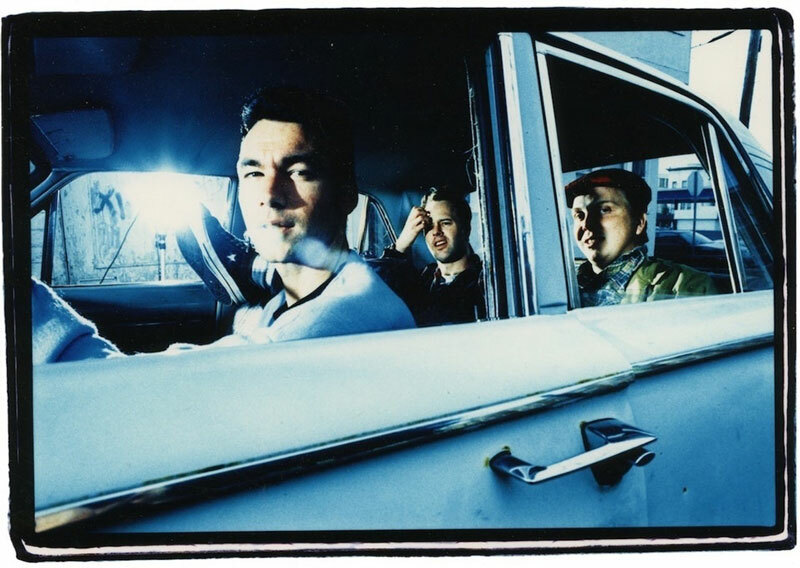 Jawbreaker was one of the most influential punk acts of the 1990s, blending elements of grunge, pop punk and heartfelt lyrics to create an entirely new genre: emo. The group split in 1996, devastating its dedicated cult following. Since then, the resonance of Jawbreaker’s music has only increased, and the group reunited to much fanfare in 2017. The trio will take on their sing-along worthy catalogue inside The Anthem.